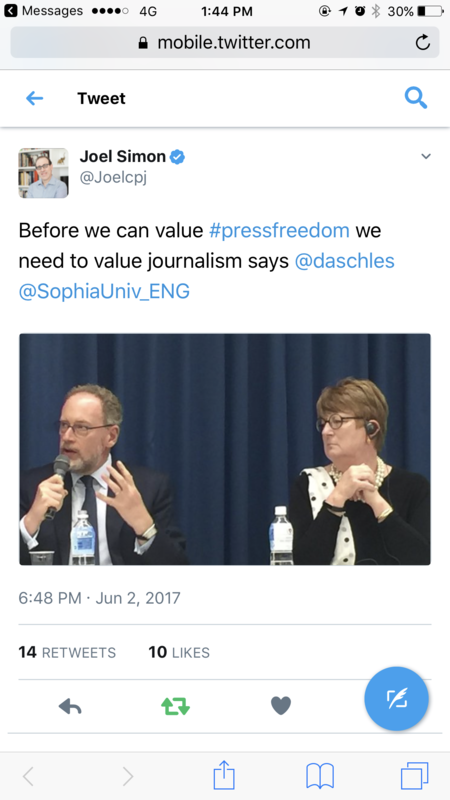 This June I’m part of a delegation from the Committee to Protect Journalists to Japan, where we will advocate for continued and expanded press freedoms and participate in public forums at Waseda and Sophia Universities. Full details are available here. I then spoke at Sophia University on “News, the Media, Entertainment, Information, and Fakery”.